Co. Down: Clonduff, Crobane, Donagmore, Drumgath, The Glen, Hill-Town, Newry (4), Ouley, Rathfriland (2), Upper Clonallen, Warren's Point (2). Co. Armagh: Ballybot (2), Ballymyere, Belleek, Camlough (2), Forkill, Jonesborough, Killevy, Latbirget, Mountmorris, Mullaghglass, Pointz Pags (2), Tullyhappy. The Board also included 10 ex-officio Guardians, making a total of 41. The Guardians met each week on Saturday at noon. The population falling within the Union at the 1831 census had been 88,181 with divisions ranging in size from Donagmore (population 2,378) to Newry itself (10,004). 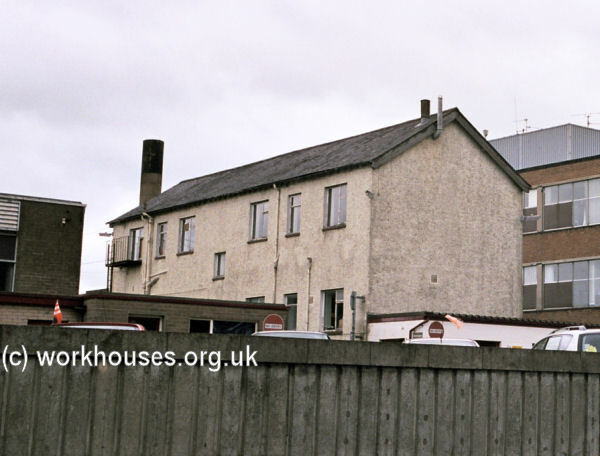 The new Newry Union workhouse was erected in 1840-1 on a seven-acre site at the south-east of Newry. Designed by the Poor Law Commissioners' architect George Wilkinson, the building was based on one of his standard plans to accommodate 1,000 inmates. Its construction cost £7,100 plus £1,727 for fittings etc. The workhouse was declared fit for the reception of paupers on 14th December 1841 and admitted its first inmates on 16th December. The workhouse location and layout are shown on the 1950s map below by which time the site had become Daisy Hill Hospital. During the famine in the mid-1840s, stables were converted into day-rooms and sheds erected to accommodate an additional 100 inmates. A fever hospital was subsequently erected at the north of the site. Newry remains of original fever hospital from the west, 2003. A further hospital block was subsequently added at the north of the site. 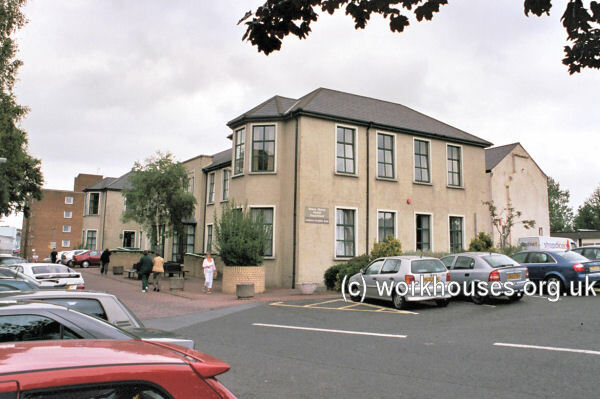 Newry additional hospital from the south-east, 2003. 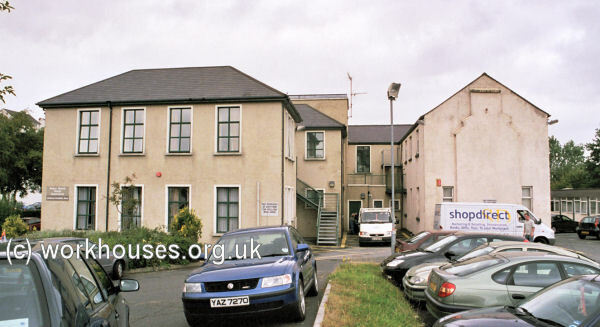 Newry additional hospital from the east, 2003. At the 1901 census, the population of the Union was 52,032. The site later became Daisy Hill Hospital with little remaining of the original buildings. Only the fever hospital and the later hospital infirmary block survive. Public Record Office of Northern Ireland, 2 Titanic Boulevard, Titanic Quarter, Belfast BT3 9HQ. Holdings include: Board of Guardians' mintes (June 1839- Dec 1947); Dispensary minutes (1852-99); Admissions and discharges (1928- Sep 1949); Offence and punishment book (1850 - 1910); Births (1892-1951); etc.